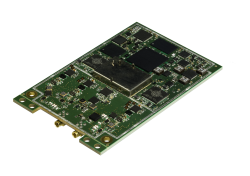 Atheros Communications, Inc., has announced the latest member of its family of GPS products – its third-generation, single-chip GPS receiver, the AR1520, and companion Atheros FYX 1.0 software suite. 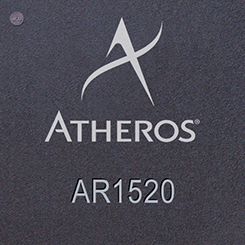 According to the Santa Clara, California–based company, the Atheros AR1520, based on the new Atheros FYX location core, delivers greater navigation accuracy, faster location fixes, enhanced receiver sensitivity, and lower power consumption than its previous GPS receiver chips. Atheros is targeting the AR1520 at manufacturers of mobile consumer products such as personal navigation devices (PNDs), netbooks, smartbooks, portable gaming devices, media players and smart phones. The new Atheros FYX Location Core uses a dual-engine design that allocates the signal search and tracking functions separately. The FYX core has eight hardware-based search engines to secure satellite locations before handing them off to any of the available 16 dedicated tracking engines. According to the company, the search engines, which have been optimized for navigation-intensive applications, can be run as eight separate engines for quicker reacquisition times or combined into one engine for faster start-up searches. To lower power consumption when full search power is not required, they can also be shut down in stages. Reportedly, the AR1520 can deliver accurate urban-canyon tracking performance while consuming less than 30 milliwatts of power. In less strenuous suburban settings, low-power tracking mode further reduces tracking power to well under 10mW, according to the company. The AR1520 includes two new features that deliver fast location fixes similar to an assisted GPS system, but without the need for network assistance. Atheros’ ESP technology employs advanced Ephemeris Self-Prediction algorithms to generate satellite ephemerides for up to five days without a network connection. Atheros’ new AlwaysReady technology uses advanced power domain architecture to keep the GPS chip in a state that is always ready to get a hot start fix while reportedly consuming less than one milliwatt of power. According to Atheros, when placed in AlwaysReady tracking mode, the AR1520 GPS receiver continually monitors its own clock accuracy and wakes up to recalibrate at periodic intervals to maintain peak starting performance without the need to connect to a network. The AR1520 combines a GPS RF front end and GPS baseband processor on a single die and runs on a 32-bit CPU. To minimize the bill of materials, the AR1520 has integrated several external GPS system components including an integrated LNA and loop filter and on-board power regulators. As a result, Atheros says that fewer than 10 external system components are required develop a complete receiver solution. The AR1520 and FYX 1.0 software provides an upgrade path from existing designs based on Atheros’ GPS previous products and are sampling to customers now.